High school pupil Steven Pearson is the envy of his classmates after securing a Foundation Apprenticeship at sports-tech entertainment company, FanDuel. The 16-year old from Tollcross, chose to take a Foundation Apprenticeship in IT Software Development with City of Glasgow College as a fifth year subject, to help fast track his career. Steven says: “I was planning to leave school at the end of fifth year and take IT at College but, after hearing about Foundation Apprenticeships during school assembly, I knew it was worth applying. 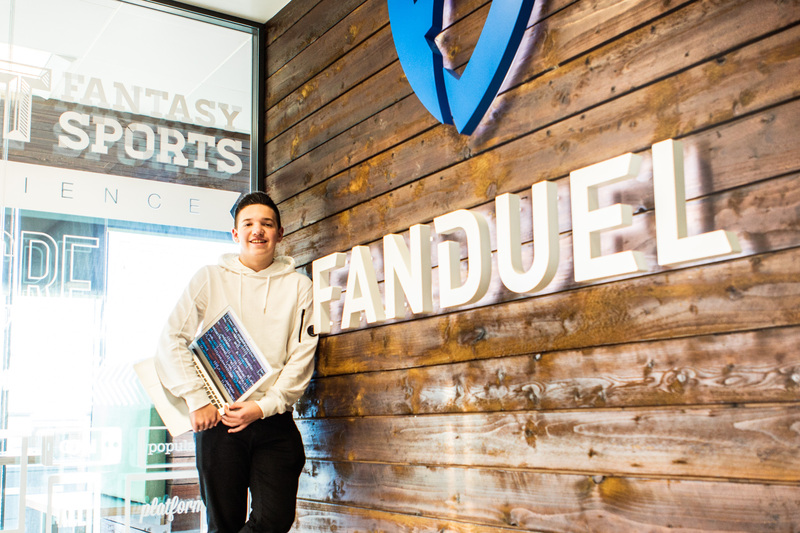 In his first year of the Foundation Apprenticeship, Steven attended college one day a week and gained a range of IT skills, and now travels to the city centre once a week to be shown the ropes at FanDuel. The Bannerman High School pupil says: “In year one, I got the chance to try software development, website development and develop an app for new college students. Since taking on his apprenticeship, Steven’s school friends have noticed how much he’s enjoying the experience and all the benefits it brings, and they now want to get involved. Steven says: “My school has also started to offer one year Foundation Apprenticeships in sixth year and lots of my friends decided to choose one. It’s good to be able to experience a college and a work environment, which are both completely different to school.